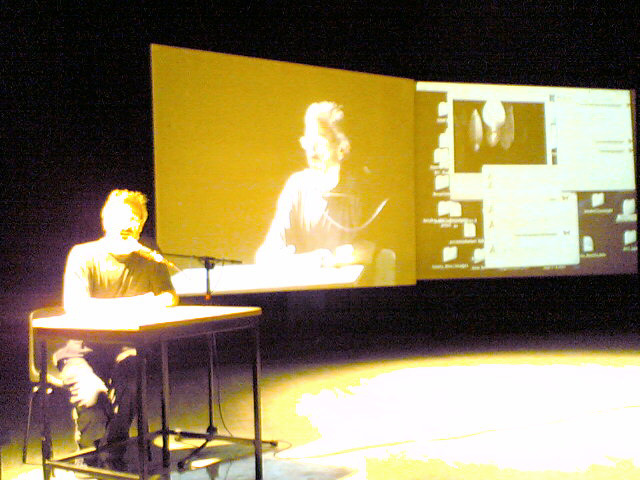 The "Live Art Telematics Lab" (LATela) was formed at Nottingham to go online on November 21, 2003, joining ADaPT and participating in a first cross-continental performance on November 24. 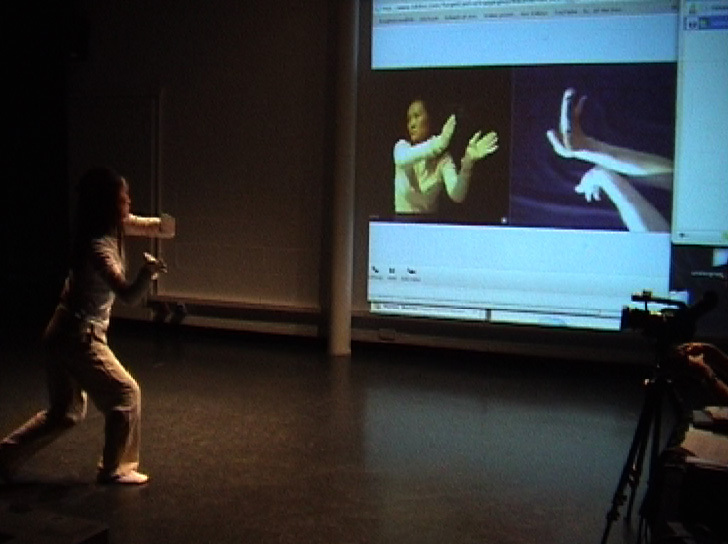 A telematic performance workshop started in February 2004 offering students and postgraduate researchers from Live Art and Art & Design to become involved in internet/streaming media research. LATela continues its research cooperation with the transnational ADaPT community which was initiated in 2000. In March 2006 it relocated to Brunel University, West London, and is now integrated into the DAP-Lab activities combining live streaming media with electronics and fashion design/wearable technologies. ADaPT links several dance- media arts studios in universities in the USA and research partners in other continents:Arizona State University, Ohio State University, University of California-Irvine, University of Utah, University of Wisconsin, Wayne State University, University of Brasilia - Corpos Informaticos, Graduate School of Semiotics and Communication-PUC São Paulo, Brazil; Nottingham Trent University/LATela, Keio University, Japan, Emiliano Campagnola/Vite3, Josephine Dorado/PIMA Brooklyn College. Affiliates: de Waag (Amsterdam), University of Southern Florida, Company in Space (Australia), Kelli Dipple (London Tate Modern), Florida State University. ADAPT is an interdisciplinary association of artists, technologists and scholars from different educational institutions dedicated to research and critical dialogue on performance and media in telepresence space. - situate research within a larger cultural and political context that acknowledges how mediated performances both frame and are framed by issues such identity, privilege, and access. This research group was founded in December 2000 by five core centers; Arizona State University, The University of California-Irvine, Ohio State University, University of Utah, University of Wisconsin, Madison. ADaPT has gradually expanded and now has associates in Europe, Canada, Latin America, Japan and Australia. THE LINKS will be published here as Quicktime URLs whenever a public performance is scheduled. Premiere of "Self Talking" 8 pm EST. "Viroid Flophouse" - midnight, GMT, multisite telematic game performance, linking ASU, WAAG, and LATela. experimental workshop in streaming media, working with networked performance and live creation of image and audio streams, moving camera work, digital sampling and editing, interactive design. 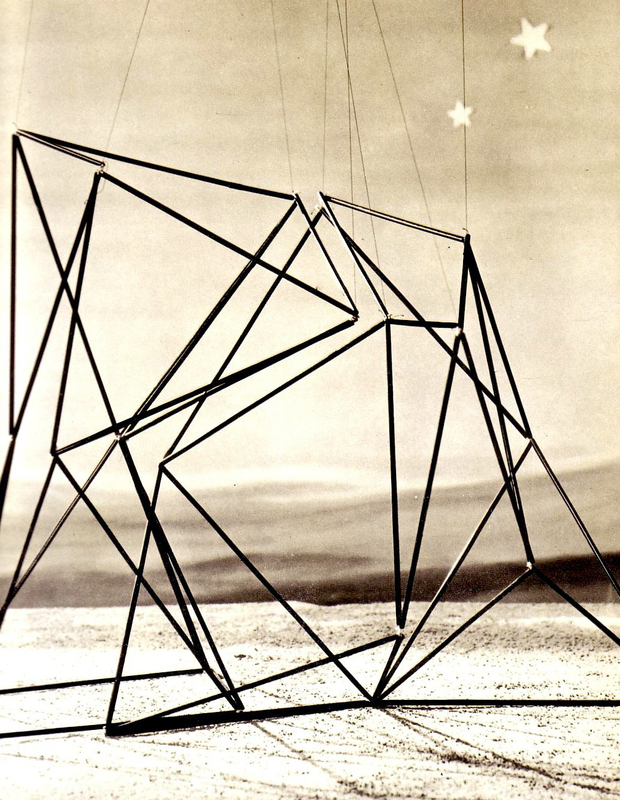 Research focus is on distributed multimedia composition. The Monday Night Live Series: November 24, 2003 6 PM EST. 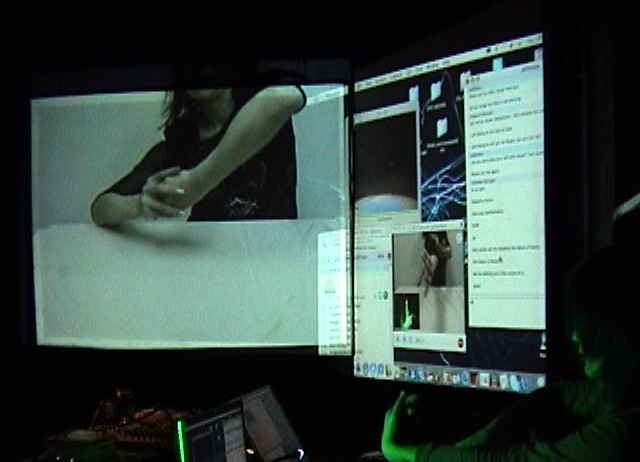 An installation/performance that uses on-line telepresence and chat rooms to mask one's identity. Using AOL chat-rooms along with live video streams from Arizona State University, Wayne State University, and Nottingham Trent Unversity, we will collaborate in real-time on a work-in-progress that explores identity, self, and place. Please log-on to watch the broadcast or email your AIM (Aol Instant Messenger) user name to us so that you can contribute to the unfolding narrative happening live in the chat room. The telematic performance workshop at the Powerhouse, Victoria Studios, began in February 2004. Rehearsals in Nottingham will be coordinated with rehearsals in Detroit, Arizona, and other remote partner sites. LATela also plans collaborations with the local "Moon Radio" (Active Ingredient) and the "ScreenPlay" festival in late February.